In this post I want to share with you one of the Shimmer Polish glitter manicures I made recently, this is probably one of my favorites. I decided to create a glitter gradient with the beautiful Shimmer Jennifer over a dark color. As the base for this manicure I applied two coats of GA-DE Blue Blood (472) which is a gorgeous dark navy color. Then I applied Shimmer Jennifer over the tips and pulled the glitter to the center of the nail with the brush, creating this glitter gradient look. I sealed the design with one coat of Seche Vite (I usually prefer the good old Poshe, but my SV got a bit thick and I though it could be a good way to smooth the glitter and flatten the design). I really adore the final look, I think the colors work so well together and that the dark base makes the glitter pop. 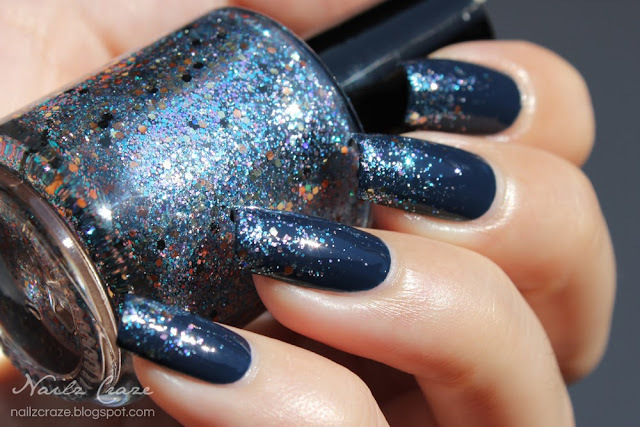 At first glance Shimmer Jennifer appears to be a beautiful soft blue glitter, but when you look closely you can see a mix of glitter in various colors that makes the polish so much prettier! 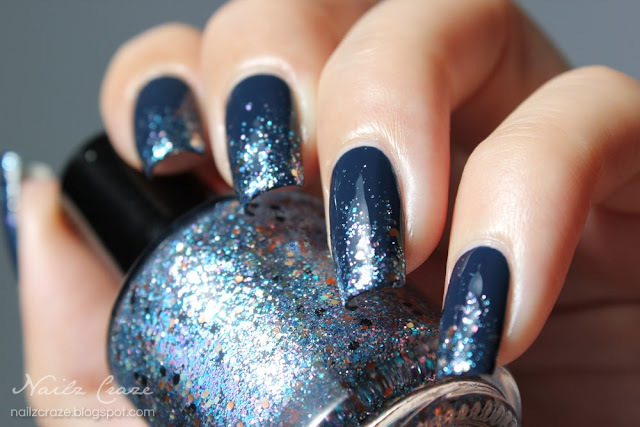 Like all colors from Shimmer Nail Polish, which are very unique and gorgeous glitter bombs, this polish is also packed with a generous amount of glitter that allows you to create easy glitter gradients. The variety of glitter shapes and sizes is exactly what you need for this task, and with a few easy strokes you get a pretty glittery manicure. I have created some more looks with the pretty Shimmer polishes, which I will be showing in the next few post. Hope you liked this look, I would love to hear your thought on it. Your nails look perfect, love those pictures! PERFECT! love your nails and this design. You really have just lovely hands! You should be a hand model! Beautiful! Especially on your long nails!! omg your nails are so long! Im in love with your nails :) Gorgeous!! I love Shimmers! They are all so pretty! The base you used compliments the sparkle so well! Lovely!